The long slog through the contentious NBA playoffs is finally over. 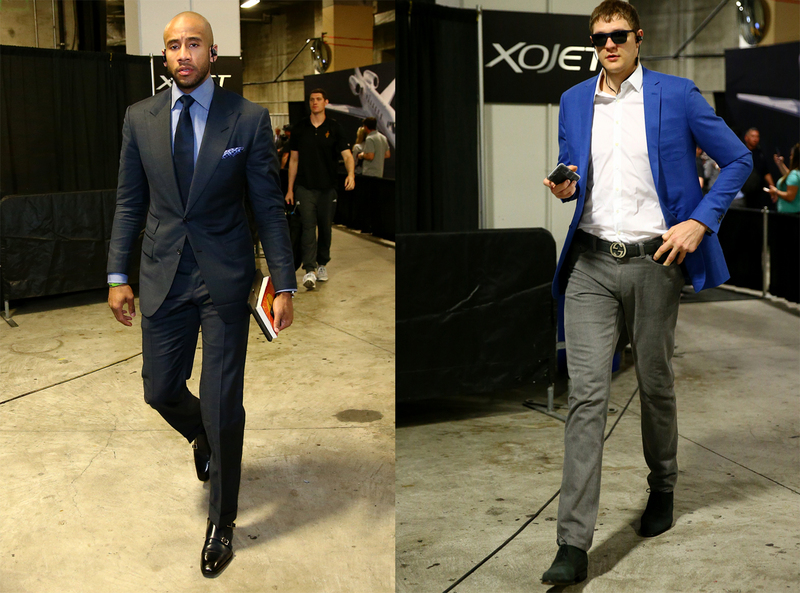 Players looked like they were on their way to a chic boardroom arriving at Oracle Arena in Oakland, California, on Thursday. Just last week Russell Westbrook – the league’s truest fashion beast – slid in and out of this same arena wearing a parade of expensively slashed gear. But these Cavs players make that feel like a million years ago, and styled themselves like hedge fund managers rushing to a NetJet for a guys weekend in Portofino, Italy. Newly minted Nike billionaire LeBron James assumed the cool-headed CEO role and his team fell in line. He highlighted the Cavs’ company colors by matching his canary yellow socks to his silk power exec tie. Four unexpected gray stripes on the armband gave the jacket a slight military feel. Although one of his lieutenants should have advised Gen. James against that jester hat pocket square, but whatever. 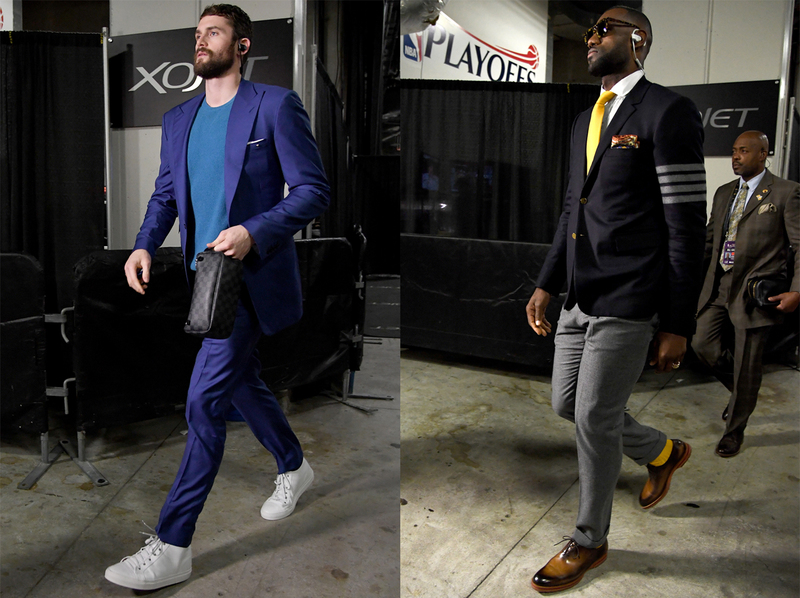 Not knowing they were on their way to an 89-104 loss to the Warriors, other Cavs players put on an excellent pregame style show. Kevin Love’s Egyptian blue two-button suit played beautifully against a simple cerulean T-shirt and white high-tops. Special mention goes to shooting guard Dahntay Jones, superfly in a gray power suit. Russian center Timofey Mozgov brought a hint of European flair with a blue sports jacket, gray denim and black suede lace-ups.